Jewelry Type: Bracelet Setting: Hand Setting, Bezel Setting, Wax Setting, Etc. 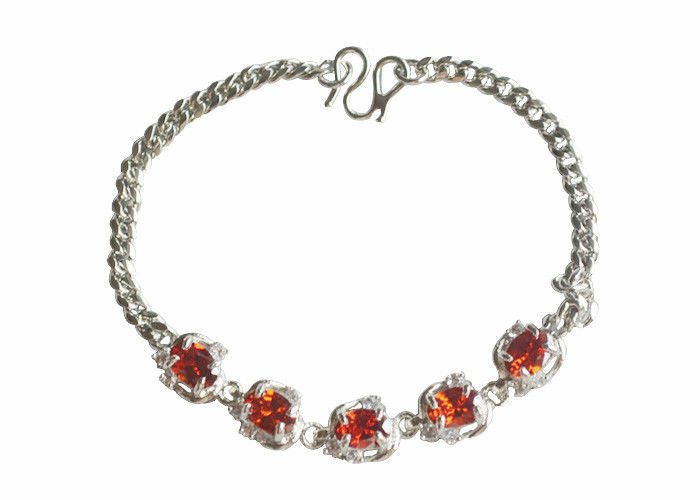 Sterling silver bracelet with light siam AAA zircon. This sterling silver bangle is made of 925 sterling silver with rhodium plating. According to your requirement, we can also plate silver, gold or rose gold color, etc. This sterling silver bangle has exquisite design and excellent craftsmanship in high quality. 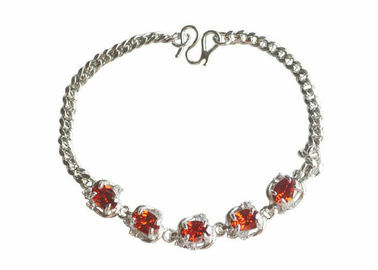 Stone Zircon, crystal, rhinestone, etc.